With sperm whales populating the waters all year round, humpbacks join the group in the winter months of June and July, while orcas put in an occasional appearance from December to February. Dusky dolphins are commonly spotted on trips, especially in the summer months, and the islands’ many seabirds and fur seals are popular sights on these cruises. An excellent tour that operates aboard purpose-built vessels with an enclosed and air conditioned passenger cabin, these boats are a comfortable and spacious way to travel out onto the water. Large outdoor decks offer great viewing and photo opportunities, while your experienced and insightful guides include an on going commentary throughout the journey. With an incredible 95% success rate, we are confident in guaranteeing an 80% refund if your tour does not see a whale. Please note that departures are weather dependent. 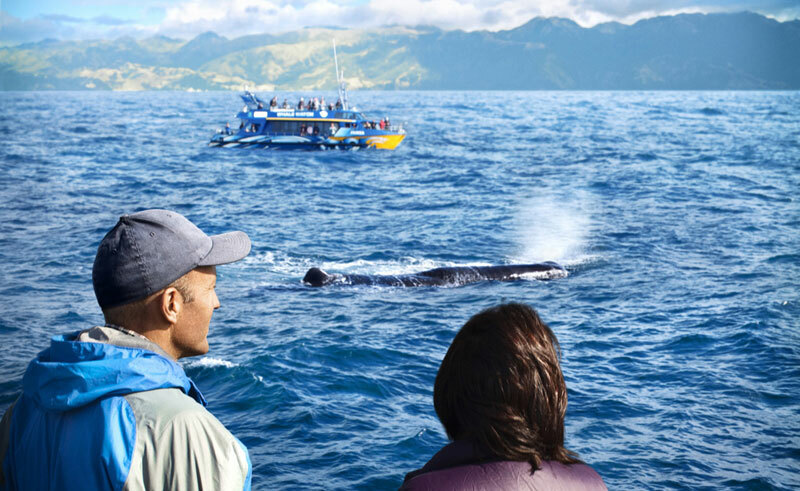 Whale Watch Kaikoura is a Qualmark endorsed visitor activity.